Rubberband stretch shorts featuring signature Rose buttons and studs. Folded cuff and detailed stitching. OUR “RUBBERBAND STRETCH” JEANS STANDS APART, AS OUR REVOLUTIONARY FIT OF DENIM FABRIC, THAT RESISTS STRESS EVEN AFTER LONG HOURS OF WEARING. 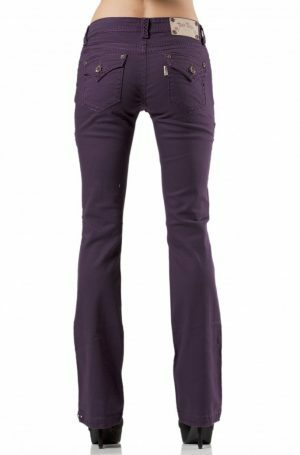 THE RUBBERBAND STRETCH DENIM FLATTERS ALL SHAPES AND SIZES AS IT BALANCES OUT THE HIPS AND LEGS, WITH THE BONUS OF MAKING YOUR CURRENT SIZE IN JEANS ONE TO TWO SIZES SMALLER! THE HIP AND THIGH COMPRESSION ENSURES THAT YOUR LEGS LOOK SMOOTH, AS OUR SPECIALIZED “RUBBERBAND STRETCH” FABRIC SCULPTS AND SHAPES CURVES WITH A FIRM, BUT SOFT AND COMFORTABLE FEEL.